SHOP LIKE YOU MEAN IT. In an age of More. More. More. our global community is reexamining our approach to shopping and are slowly turning to brands that support in the overall effort to mitigate our carbon footprint. With Earth Day coming our way, it’s only right to think of all of the eco-friendly goodness we can incorporate into our lives. 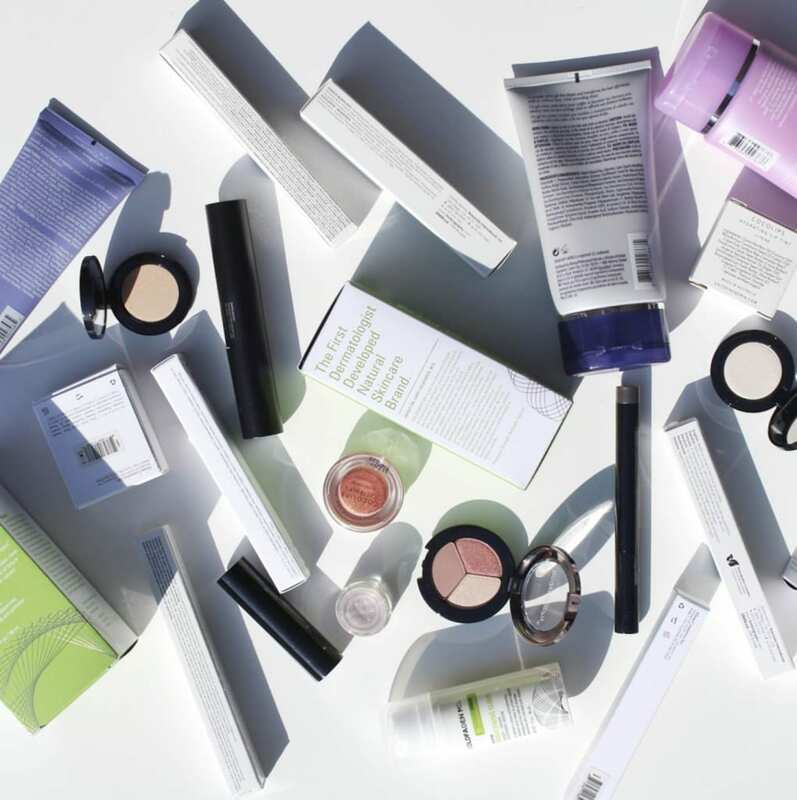 When it comes to beauty products, many brands have taken a “green” approach in terms of packaging, souring and ingredients. If you’re looking for a way to give a nod to our planet via your beauty routine, keep reading. Discover easy ways to reduce your carbon footprint and check out how we as a brand are stepping up the game. Did you know that 80’000 TONS OF PLASTIC FLOATS IN THE Great Pacific Garbage Patch – EQUIVALENT TO 500 JUMBO JETS – As a brand we take note of our consumption of cardboard boxes, plastic wrapping, packing peanuts, tissue paper, and shoe boxes which house our ordered goods, and have made major strides in reducing our carbon footprint by eliminating or transtitoning. Earth Day comes every April and is a reminder to us all on how to solve climate change, to end plastic pollution, to protect endangered species, and to broaden, educate, and activate the environmental movement across the globe. Discover what we are doing year round to mitigate our waste consumption overall and some tips that may help you too because it’s time to start eliminating waste and not adding to it. Goldfaden MD uses 100% recycled paper and boxes for all of our outgoing shipping boxes – both direct to consumer and to our retail partners. Store your water in a stylish, yet totally functional (hello cold water all day) SWELL water bottle and feel good about eliminating plastic water bottles and going BPA free FOREVER. The average reusable bag has a lifespan equal to that of more than 700 disposable plastic bags. One person using reusable bags over their lifetime would remove more than 22,000 plastic bags from the environment. Nuf said. Join us in a global movement to eliminate plastic drinking straws from our landfills, our streams, our oceans, and our beaches. Swap for paper, stainless or even bamboo straws. Give a hoot – don’t pollute and pick up! The ocean is not a garbage can and neither is the street or the side of the road. Return your empties! 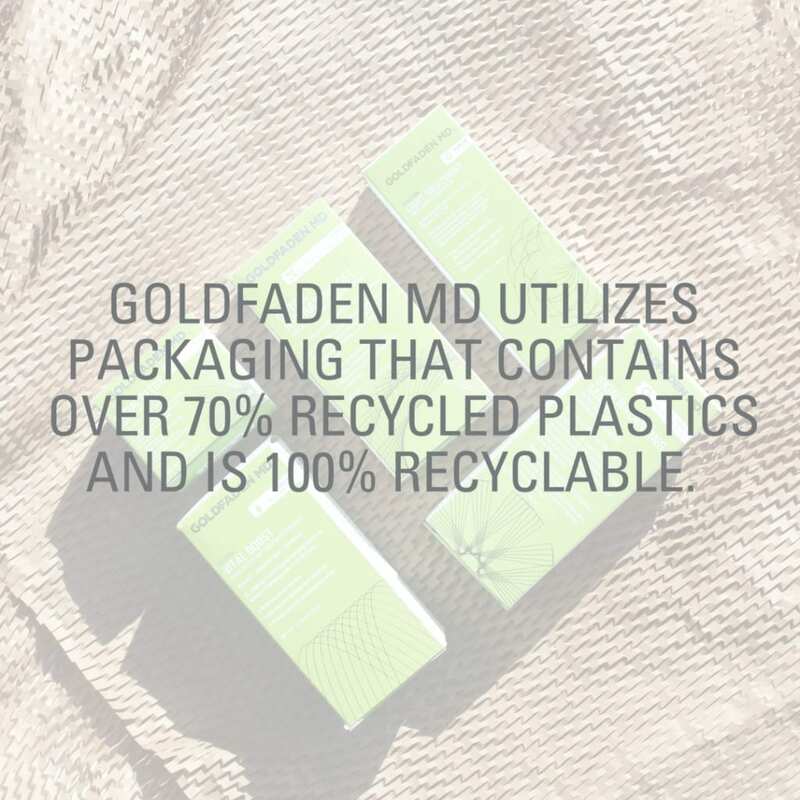 You too can help the planet and reduce your carbon footprint by sending in your Goldfaden MD empties to us and you’ll receive 25% off your next order. Feel good about reducing your personal waste and start today. Shop our full collection today! This week in celebration of International Women’s Day and our #GoldfadenMDForHercampaign, a movement to celebrate and support some incredible women doing great things and trailblazing leadership in the industry they are passionate about, we are so excited to be highlighting Puno. Experimenting with new ideas, whenever I want. Being able to dictate what I want to work on, how I want to execute it, and all the little decisions along the way is something I really thrive on. Since our businesses live on the internet, the time from idea to execution is fairly quick (if you choose to be *wink*). Erykah Badu! She’s a legend. I love her voice, her music, her compassion for human beings, her playfulness, her timelessness, her creative process, and most of all, her perspective and understanding of herself. But what I love the most about Erykah Badu is her confidence. Self-reflection and self-awareness is a daily ritual for her. She continues to evolve and will try anything that peaks her interest. Whether it’s jamming with a complete stranger she met on the internet, making jewelry, becoming a doula. That’s right, she’s a doula! This woman has no fear. And she practices that everyday with her creativity. What’s your advice to women trying to make an impact in their career? Don’t get caught up with all the success stories of big companies or celebrities. Their success is an amalgamation of impacts on individual people. Focus on generosity with one person, then scale it to two, then three. As you do this, you’ll actually be able to feel the fulfillment of your generosity compared to how much effort you put in. As an exercise, everyday, right down the times a person was generous to you. What did they do? How did it affect you? Were you happier in the day? Did you have an act of generosity after? Pee? Haha! TMI! Before that, I’ll usually snuggle with my cat until she’s had enough of it. I just recently started doing this, but I throw cold water on my face. Jerry Seinfeld splashes his face three times with cold water. If I feel oily, I’ll cleanse my face, but otherwise, just add moisturizer. Then, I drink some water. I usually talk to Daniel, my husband, and play with my cat. Sometimes I take a little puff so I can get into that headspace and drift off to sleep. I was exposed to the internet in 1996. At that time, we had “one channel” and that was AOL. Ha! It was basically just chat. I didn’t really start creating my digital personality until I figured out how to upload a GIF on Geocities. If you think everything looks the same now, back then… oy vey! Now, everything and everyone is online. The amount of options is overwhelming. Once you find a community, you’re going to be stoked, but be self-aware. Are you getting caught up in it just to fit in? Is there just some part of it you enjoy? Personality, passion, and purpose are complex. It doesn’t have to be so binary. It should be more human. Enjoy a lot of different communities and embrace the parts of it that you want, unsubscribe to the rest. Taking the time for education is one of the fastest ways for me to evolve every aspect of my life. I typically do it in two ways: (1) Making time and spending money on side projects that make absolutely no money and (2) teacher-centered education. Side projects give me the opportunity to learn my own way, collaborate with others, and put what I’ve learned into practice. With teacher-centered education, I can tap into an expert. For certain subjects, I’ll pay the structure of a curriculum and/or classroom. It’s just easier sometimes! Creating a monthly budget of my time and my money towards education and side projects can give you more structure. Think about college. Community College is about $3,000 per semester when you include books and supplies. This works out to about $250 per hour of class credit. Since you probably don’t have the time to take a full 12 credit semester, how about just 3 credits? That’s $750 every 3 months (eg, semesters are usually 12-15 weeks long) you would spend on education or side projects. Typically students spend about 3 hours per credit hour for homework and assignments. So overall, you’ll spend about 1 hour per week over 3 months. Every month, I give myself permission to spend $250 on books, props, equipment, and courses. And I make sure I spend at least an hour (if not more) every week. It starts with exercise! I have a membership at the Los Angeles Athletic Club where I play Squash, run, or do some YouTube exercise video for an hour. Then, my favorite part, is to jump into the hot sauna and do all my self-care. Whether it’s a face massage, exfoliation, hair mask, or just sitting there.